2018 Jeep Compass – If you are going to buy the new 2018 Jeep Compass, then make sure that you have read our review first. When compared to the previous generation, there is no doubt that the new Jeep Compass is vastly improved. The new model is more comfortable to drive and it can also be fitted with the latest Jeep’s car technology. Compared to another model such as Jeep’s Cherokee, the new Jeep Compass is smaller and more affordable. 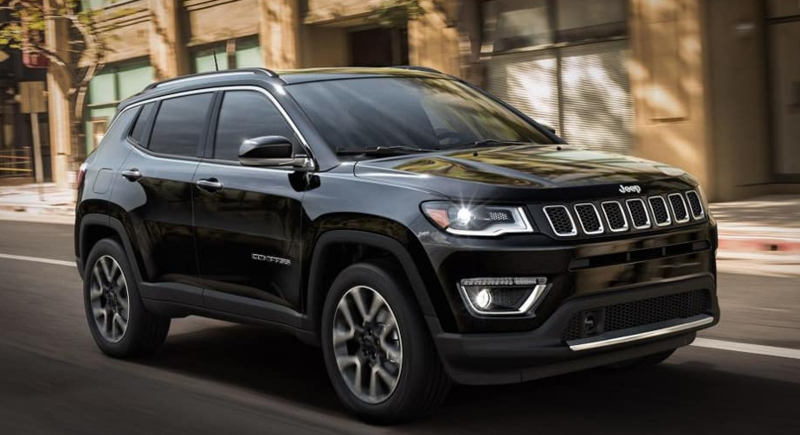 What we can say is that if you need a comfortable and affordable SUV, then the new Jeep Compass should be included on your list. What is New for 2018 Jeep Compass? With the release of the latest model, it seems that 2018 Jeep Compass is unchanged. While there are no significant changes available, the new Jeep Compass is still the best car that you must consider in 2018. Read some features, specifications, and other good things offered by the new Jeep below. The new 2018 Jeep Compass is available in four trim levels in which buyers can choose Trailhawk, Limited, Latitude, and Sport. 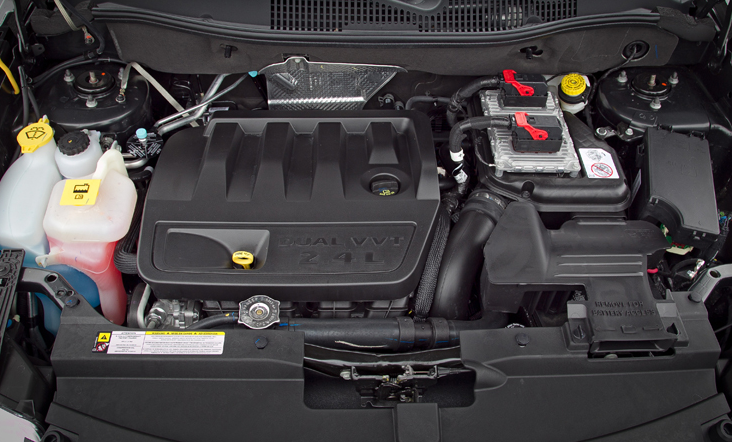 All Jeep Compass models are equipped with a 2.4-liter four-cylinder engine which can deliver 180 horsepower. There is a six-speed manual transmission which is standard on the Sport trim level. There are also a nine-speed automatic transmission and a six-speed automatic transmission which are optional. Other trim levels have the automatic transmission as standard equipment. 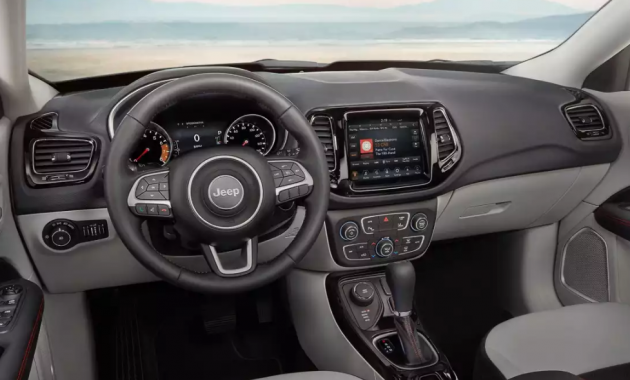 The Sport trim comes with standard equipment such as the smaller uConnect system, air conditioning, 16-inch wheels, a six-speaker sound system, a USB port, and Bluetooth connectivity. The next choice is the Compass Latitude which comes with a leather-wrapped steering wheel, larger wheels, leather seat upholstery, and keyless ignition and entry. The next choice is the Compass Limited which has more features than other two trim levels we have mentioned before. For example, it has some standout features such as upgraded exterior trim, 18-inch wheels, a power driver seat, an upgraded driver information display, leather upholstery, heated front seats, and automatic dual zone climate control. The Compass Trailhawk differs greatly in features and function. This trim level is only available in AWD and it comes with the nine-speed automatic transmission. There are also some popular options which you can choose. These options include a premium Beats audio system, a navigation system, a cold weather package, and also an advanced Safety and Lighting package. If you want to get a better driving experience, then you have made a right choice by purchasing 2018 Jeep Compass. The new model has improved the way it drives. You will realize that it rides well on the road and it also has enough suspension control and chassis stiffness which allows the car to handle curves easily. 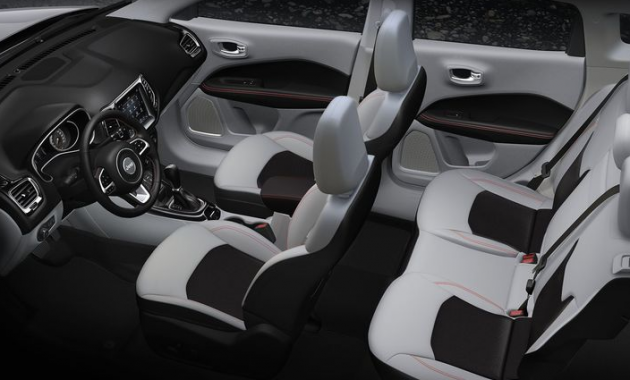 To add comfort when you are driving, it also comes with seat cushions which are firm. The base model starts at $20,995. As for its release date, it seems that 2018 Jeep Compass will be available in 2018.